Williamson is a part of Rapala and they develop lures and fishing tools. I was fortunate enough to be able to work with their 10” curved fillet knife this past weekend and I was impressed with the cutting force that it provided. My first impression of this fillet knife was that I could use it to fillet a 15 foot bull shark, fend off hungry gators, or chop firewood. 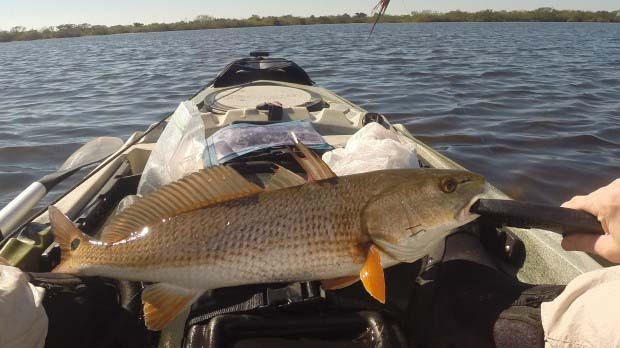 Unfortunately none of those seemed very realistic, so I decided to use it to fillet a redfish after a day out on the flats. The point I am trying to make is that the knife really is large and sturdy, with a total length of about 16 inches from handle to tip. 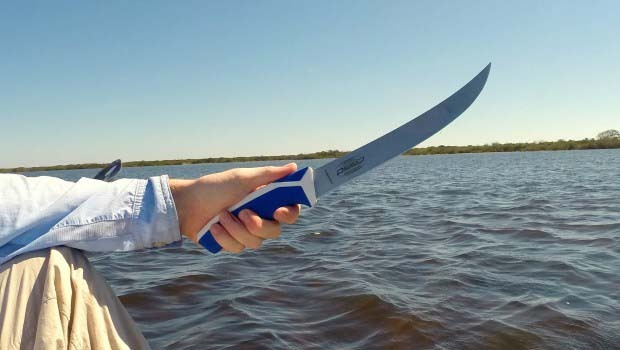 I caught a slot sized redfish while I was out this past weekend and I kept it mainly because I love eating redfish, but also to give this knife a thorough test against a red’s scales. The knife performed very well and cut right through the tough redfish scales with a lot less effort than other fillet knives I have used in the past. It was a bit tricky managing the large knife without flex when it came to actually cutting the meat down the spine, however this knife is clearly intended for much larger game than a 22” redfish so I will give it the benefit of the doubt there. The grip was very comfortable and I didn’t feel like I was going to drop or slip the knife at any point. That was very reassuring as I had been paddling for hours and my arms felt like lead. The only downside to this knife was that it does not come with a sheath so I had to rig a foam and tape setup to ensure it didn’t slice through any of my gear. 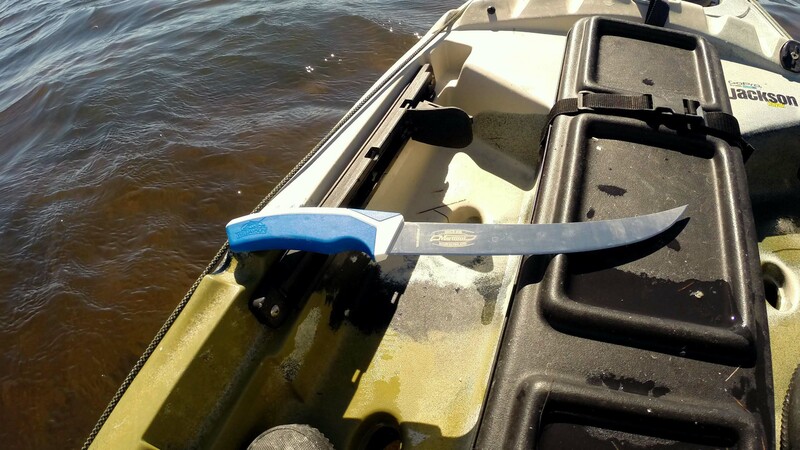 The Williamson fillet knife is a great knife for filleting larger fish and is offered at a good price, however be sure to get some sort of sheath for it. 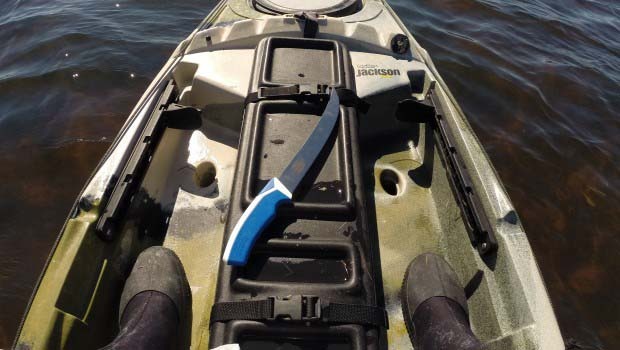 I can assure you that you don’t want 10” of sharpened curved steel bumping around in your kayak or tackle box.